Which U.S. president would have made the best bodybuilder? BB.com ranks the presidents on their physique potential and fitness. As the Editor-in-Chief of Bodybuilding.com, Jeff O'Connell oversees daily content for the most heavily trafficked fitness site in the world. Previously, O'Connell served as the Editor-in-Chief of Muscle & Fitness magazine. O'Connell is best known for his own health-and-fitness journalism. He spent three years as Executive Writer at Men's Health magazine, where he handled numerous celebrity profiles and cover stories. His feature writing has earned honorable mention in both The Best American Sports Writing and The Best American Science & Nature Writing anthologies. Gerald Ford played center and linebacker for the University of Michigan. Teddy Roosevelt boxed while attending Harvard. 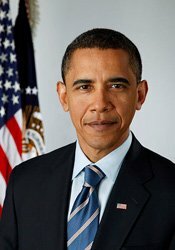 Barack Obama is known for playing basketball. 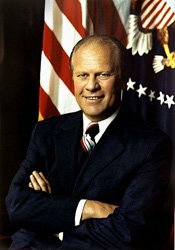 He wasn't elected to the presidency or vice-presidency, and his purported clumsiness helped launched the career of Chevy Chase, but Gerald Ford was a standout athlete who packed some serious beef onto his frame. He played center and linebacker for the University of Michigan, helping the team to undefeated seasons and national championships in 1932 and 1933. 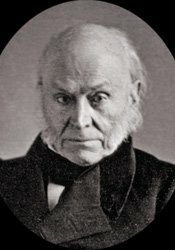 Ford was also the longest-lived President. 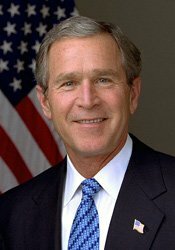 While "Dubya" was known for his simian-like movements, he was one of the healthiest presidents, according to White House physicians. In addition to biking or running most days, Bush was also known for his low body fat levels and resting heart rate. In 1993, he completed a marathon in less than four hours. We're guessing his strong-arm tactics abroad would serve him well on a posing dais. Ready to run? Marathon training here: What Is The Best Workout When Preparing For A Marathon? 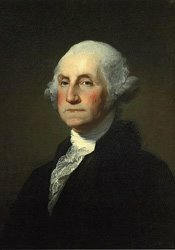 The first president led a beleaguered nation to independence. After his army suffered thousands of casualties due to illness during the harsh winter at Valley Forge, Washington emerged with well-trained troops, eventually leading them to victory over the British. And while the story about the cherry tree is apocryphal, Washington was purported to have been a skilled dancer--hence those abs. Like Jack LaLanne, Roosevelt's unhealthy childhood led him to a life of fitness. He boxed at Harvard, and later led the Rough Riders during the Spanish-American War, no doubt producing stage-worthy adductor development. 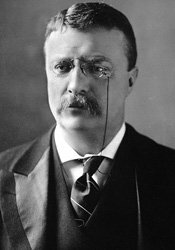 Roosevelt, the youngest President, maintained his fitness regimen while serving as President. Like Russian leader Vladimir Putin, he also practiced judo, earning a brown belt. Perfect your 1-2 punch with great boxing articles at: What Is The Best Boxing Workout? Known for playing basketball on the campaign trail, Obama continues to work out and run when time allows. He was famously photographed shirtless in Hawaii, proving with his physique that he's in great shape. We're guessing that with a good contest diet, he could be peeled by his next summit. One thing that prevents Obama from moving higher up the list is his somewhat secretive habit of smoking. Adams was an endurance monster, walking up to four miles before dinner. And according to a Gold's Gym ranking of the fittest presidents from 2008, "[Adams] swam in the Potomac (some say naked) to stay in shape, was a fisherman, a gardener and a horseback rider." Impressive. Despite Adams' fitness devotion, structural issues with his physique prevent him from cracking our top five. Swim like a fish with these great training articles: Flexibility For Swimming! We're guessing that hours spent playing "Hoover" ball produced a wasp-like waist and some killer intercostals, however. Bump, set, spike. Elevate your game with awesome volleyball training articles: Volleyball Training 101 - A Program For Successful Players! 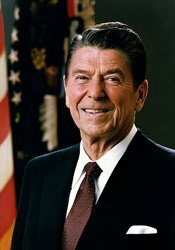 The broad-shouldered former actor built up his physique while he was encouraging other world leaders to tear down walls. Displaying his All-American physique as George Gipp in the famous football classic, Knute Rockne, was just a small taste of his stage presence. 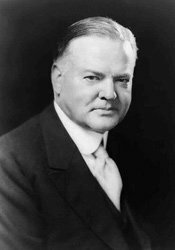 This champion of free enterprise and smaller government certainly knew his way around a mean cutting phase. Reagan's only drawback was the one that plagued Lou Ferrigno-his height. 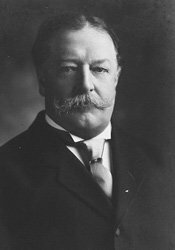 William Howard Taft. In fact, he was the most. By some accounts, "Big Bill" weighed as much as 370 pounds. All sources estimate his weight at more than 300 pounds. Stories proliferate about him becoming stuck in the White House bath. Talk about a tub of lard. Avoid presidential pounds! Fat loss articles at: 3 Fat Loss Nutrition Tips To Blast Fat!